Good morning, early birds! 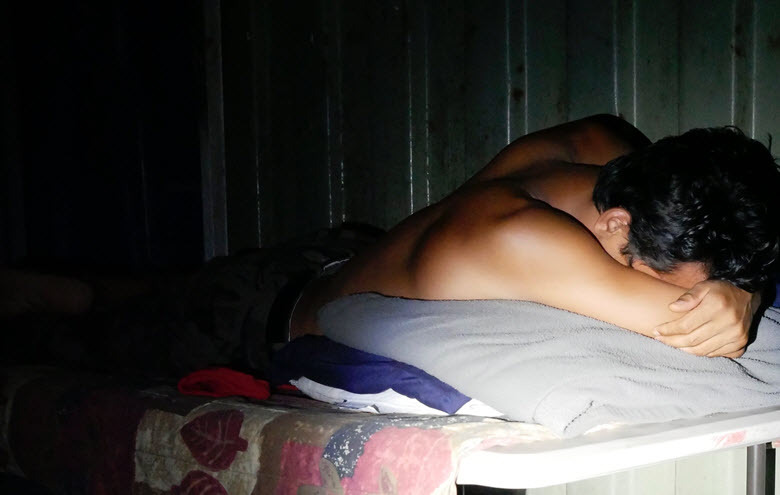 Médecins Sans Frontières has detailed the “absolutely devastating” mental health among asylum seekers housed on Nauru, while calling for their immediate evacuation. It's the news you need to know, with Chris Woods. Returning Médecins Sans Frontières health workers have called for the immediate evacuation of all remaining refugees from Nauru, reporting 78 cases of attempted suicide, suicidal ideation, or self harm amongst refugees as young as nine years old. According to The Sydney Morning Herald, MSF watched the mental health among people seeking asylum housed on Nauru deteriorate at an “absolutely devastating” state over their 11 months of psychological and psychiatric work on the island, particularly after the US rejected about 70 people under “extreme vetting” in May. MSF’s eviction follows multiple allegations that Nauru has begun criminilising suicide and mental illnesses. The reports also come as the Queensland coroner prepares for a year-long inquest into the death of 24-year-old Omid Masoumali, who died after setting himself on fire in front of UN officials in 2016, in order to determine intent. For anyone seeking help, Lifeline is on 13 11 14, and Beyond Blue is 1300 22 4636. Headspace and ReachOut have useful mental health resources for young people. 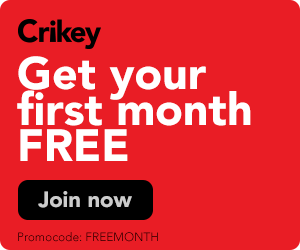 Prime Minister Scott Morrison has accused Fairfax Media of deliberately misrepresenting the religious freedoms review in a Sky News interview, and argued against expelling children on the basis of their sexuality or gender. According to The Sydney Morning Herald, Morrison has also claimed that the (still unreleased) report recommends tightening laws to focus on child welfare, a claim echoed by Attorney-General Christian Porter and review chair Philip Ruddock. However, Fairfax Federal Editor Bevan Shields has also hit back at claims that earlier reports were inaccurate. Either way, Morrison plans to keep the report confidential until cabinet has finalised its position, a decision slammed by everyone from the IPA to Labor. Finally, crossbench senator Derryn Hinch will move a motion next week calling to strip funding from schools that discriminate against LGBTIQ students or teachers. Australian opening batsman Usman Khawaja has helped deliver an incredible draw in the first test against Pakistan overnight. The ABC reports that, facing a 462 run deficit, Australia managed to survive the final innings eight wickets down, largely on the back off Khawaja’s 141-run, eight-and-a-half-hour streak. After Pakistan’s legspinner Yasir Shah took Khawaja, Mitchell Starc, and Peter Siddle within the space of eight balls, Australia captain Tim Paine and number 10 batsman Nathan Lyon held out for a tense final hour. It’s a very brave state that is going into a summit that is going to be tough, that says ‘we’re not going to support the reliability obligation’. Australia’s energy minister holds out on the idea that ignoring emissions targets at the upcoming COAG meeting counts as brave or tough ($). Horse Racing Ad on Sydney Opera House Ignites Debate: Is All Australia for Sale? The End of the Australian Miracle? Sign up for the Australia Letter from The New York Times, a free weekly dispatch with global perspective from bureau chief, Damien Cave. Sir Richard Branson will head a Uniting-led campaign to lobby the NSW government to decriminalise drugs. The ICAC inquiry into claims of improper conduct at the now-defunct Canterbury City Council will hear from next witness Peter Jackson. Planners and developers from Battersea Power Station, London and New York’s Hudson Yards will headline alongside local Sydney property experts at the Urban Taskforce’s Creating Communities conference. The Art Gallery NSW will preview Masters of Modern, an exhibition from the Hermitage, with senior Russian dignitaries from the St Petersburg State Hermitage Museum and Dutch visual artist Saskia Boddeke. Day two of the Outlook Conference 2018 will include panellists such as Minister for Cities, Urban Infrastructure and Population Alan Tudge and Shadow Minister Anthony Albanese. A 30,000-strong petition will be presented to Road Safety Minister Luke Donnellan to demand horse-drawn carriages be banned from Victorian roads. After three years, local street-art collective Juddy Roller and artist Matt Adnate will finish the tallest mural in the Southern Hemisphere on the 20-storey, city-facing wall of the Collingwood Housing Estate. Chief of joint operations Air Marshal Mel Hupfeld will conduct a round table briefing on the Australian Defence Force’s domestic, regional and global operations. Senate inquiry reports will be tabled on: Social Security Legislation Amendment (Community Development Program) Bill 2018; Fair Work Amendment (Family and Domestic Violence Leave) Bill 2018; and My Health Record laws and system. ANZ Bank will appear before the Standing Committee on Economics’ review of the four major banks. Former foreign affairs minister Julie Bishop will address a Business News Success and Leadership event. Senators Pauline Hanson and Peter Georgiou will speak at a media conference on One Nation’s call for a Royal Banking Commission to be held in Perth. WA 2018 Australian of the Year Dr Tracy Westerman will speak on destigmatising Indigenous mental health at an Auspire event. Open Minds Australia will present the 2018 Queensland Mental Health Week Achievement Awards. Day one of EnergyLab’s two-day “Future of Energy in Tassie” hackathon. Australian Nursing and Midwifery Federation members will stop work over a pay and conditions dispute with the government. Today is World Arthritis Day. Queen Elizabeth II’s granddaughter Princess Eugenie will marry Jack Brooksbank.